This fiery Coronal Mass Ejection (CME) shows stunning details in the ejected material. Taken by LASCO C2 on January 4, 2002. 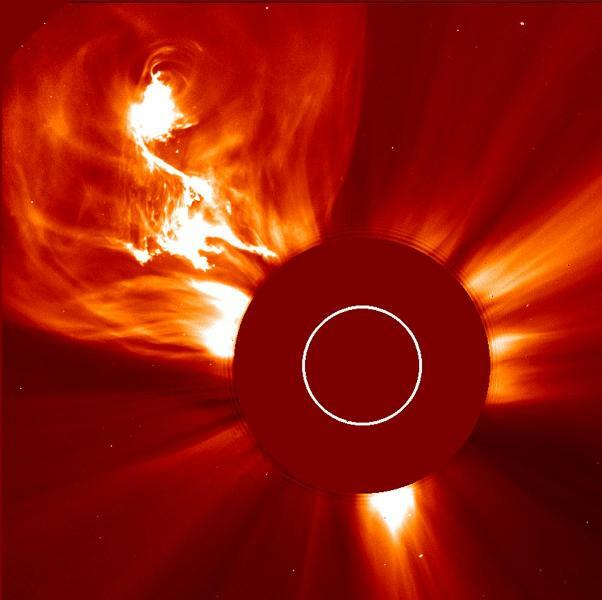 In coronagraph images, direct sunlight is blocked by an occulter, revealing the surrounding faint corona. The approximate size of the Sun is represented by the white circle.